This week begins with easy and flowing lunar aspects, notably moon conjunct Jupiter. The bright Scorpio moon is also in favorable aspect to Neptune, Pluto, and Mars. This alone is rare, and it sets a tone of connection, ease and flow to this entire week. The moon’s favorable connections to Jupiter, Neptune, Mars and Pluto paves the way for a productive week ahead. For all you sky watchers out there, get out to view Jupiter and the Moon together in the morning sky. Furthermore, you can also see Mercury, Saturn, and Mars. Jupiter moves closer to the earth each day, and on May 8th, Jupiter will be the closest to the earth that it ever gets. With a telescope or even good binoculars, you can see the moons of Jupiter! If you’re not a morning person, you can also see Venus at night; she;s almost always dressed up and looking beautiful, no matter what. 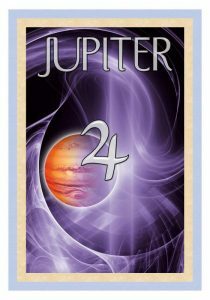 Astrologically, the moon conjunct Jupiter on Monday signals a fortunate time that sweeps into the whole week. When the moon joins Jupiter you feel optimistic which in turn leads to beneficial outcomes. Generosity is enhanced, but moon conjunct Jupiter also opens up your higher mind, illuminating the real beauty of this aspect. Energetically, we still benefit from a reverberation of the Scorpio full moon which was exact Sunday night at midnight Pacific Time. This has been a powerful cycle and I think that most people have felt this full moon as delivering a satisfying completion of one cycle with inspiration to begin a new one. What this means is that the Moon has no light of its own; the way it gets its Light is purely by reflection of the Sun. Really, all light on earth and in our immediate solar system comes from the sun, so it’s always important to remember Sol when talking about astrology. And, the Taurus sun delivers all week long. Tuesday, May 1st has long been a day of fertility celebrations. May Day is also known as Beltane, and around the world, many will gather, each for their own reason, in communion with Mother Earth and her seasons. However, there are no lunar or planetary aspects this year on May 1st, Beltane; the power broker day this week is Saturday, May 5th, (also known as Cinco de Mayo). Saturday is an intense day because the moon conjuncts Pluto, adding intensity to the day. However, even with that intense aspect, the Moon still flows with Neptune and Jupiter – making this a great and flowing week . The Scorpio full moon needs only a short introduction; just look into the night time sky to feel her presence. Scorpio is developed through Power and Depth; but, there must be more than just talk or even reason to access the power. Scorpio is the sign of irrevocable change, and your transformation is brought forth now as Chiron enters Aries, opening up healing of your sovereign ‘I AM’ presence. Chiron is a wounded healer and a shaman, but there is much more to his story. As the Astrology Code Healer, Chiron in Aries goes deep to repair ancestral wounds. Jupiter, Saturn, and Pluto now retrograde, nurture a time for inner growth and reconciliation; but the moon, always moving forward, pierces the night. Now is your potent time to re-program your subconscious mind. When the moon is full, it’s like the sun is secretly shining at night, and the strength of this Scorpio moon grows through a reflection of the Taurus sun, a hidden power in this lunation. 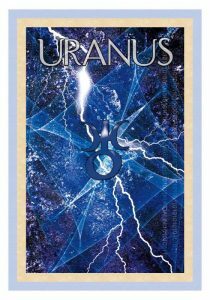 Taurus contributes grounding, sustenance, and fertility to the passion of Scorpio. You can now reframe decisions made long ago; but to do so, you must go deep into the domain of Pluto. And, the time is ripe as Mars and Pluto are conjunct in Saturn ruled Capricorn. Is there a burden you’ve carried for far too long? Is there something you’ve been afraid to do? The Scorpio/Taurus axis is a fertile ground. Your transformation is housed in the underground vault of feelings, memories, and even deeds that have form but are no longer visible. Release, let go, and consciously create a life of freedom. The Scorpio moon shines a Light on your journey, and the Taurus sun makes it real. Breathe deeply and connect with your joy! 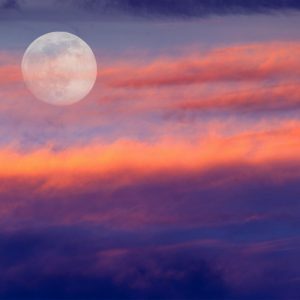 This week is the build up to the Scorpio full moon on Sunday, April 29th, and there is one major planetary event this week to usher in the full moon; on Wednesday, April 26th Mars conjuncts Pluto. However, before getting into the details of these events, it’s important to set the scene. As of yesterday, we now have the two major ‘teacher’ planets in retrograde motion. Last week, on April 17th, Saturn stationed retrograde, and yesterday, Sunday, April 22nd the planet Pluto is now apparent backward motion. In our solar system, all planets except for the sun and moon go retrograde. And, they do not really begin to move backwards, the retrograde cycle is when they appear to do so as seen from the earth. You can think of the retrograde as a review, or even a time of reclamation. 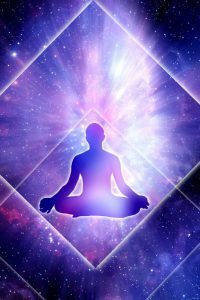 And, now with both Saturn and Pluto retrograde, we are in a unique time period of personal spiritual growth. Universally, Saturn retrograde is a time when the soul learns to differentiate good from bad, and to bring forth, or to manifest ideas – to pull thoughts out of the ethers and make them into something concrete. Pluto retrograde is a time to work on yourself, with the understanding that self-development is a powerful way to change the outer world. Think of this as a time for building bridges. 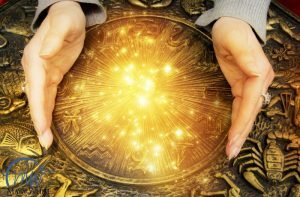 This unique inner work period lasts until October of this year, and is an important time because in 2020 both planets, Saturn and Pluto will be conjunct in Capricorn, ushering in what can be understood as a New Foundation for us all. So, now is a time to build internal and external structures to sustain you. So, this time of spiritual awareness and growth is the backdrop for a major planetary event this week; on Wednesday, April 26th Mars conjuncts Pluto. Mars is going to stir up the depths of Pluto, so, on the personal level, this conjunction asks you to get serious about something you care about. All of this leading to the Scorpio Full moon on Sunday, April 29th. 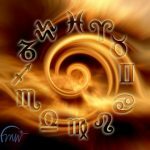 Scorpio is associated with the word transformation – but I am going to ask that you also add the word motivation and also ask – what drives you, what makes you ‘tick’, and what do you intend to do about it. These are all questions for this week, to dig down into your True Colors, and become a clear channel for your own Light, and to convey this goodness into the world. P.S. 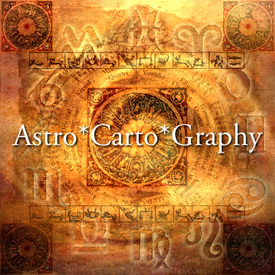 – Want to know how AstroCartoGraphy helps you maximize your gains?